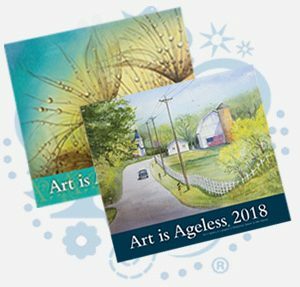 Lawrence Presbyterian Manor will hold its annual Art is Ageless® exhibit February 12 to 19, 2019, Mon. – Fri., 8 a.m. to 5 p.m., Sat., 11a.m. – 3 p.m., and Sun., 11 a.m. – 2 p.m. Entries of artists works are from area artists who are 65 years or older. Local competition winners will be featured in Lawrence Presbyterian Manor’s newsletter and website, LawrencePresbyterianManor.org, as well as the Art is Ageless website.